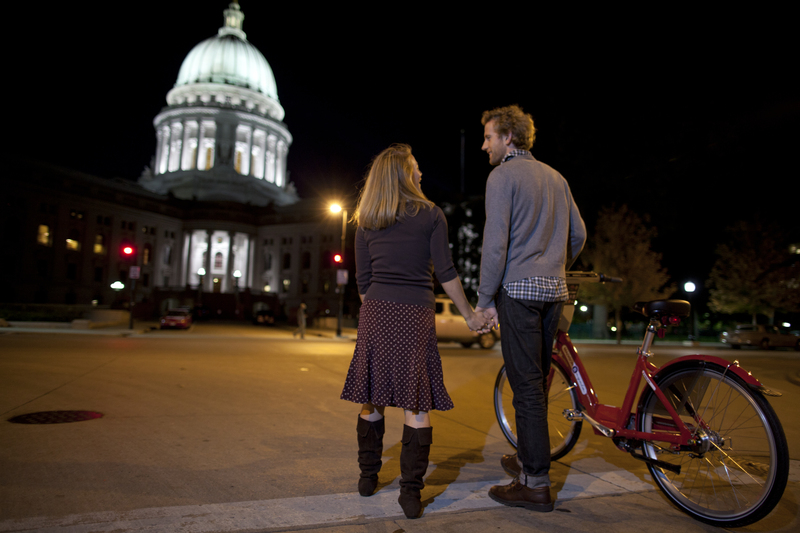 Imagine this – you’re pedaling down Monroe Street past Edgewood with a lovely and intriguing partner. 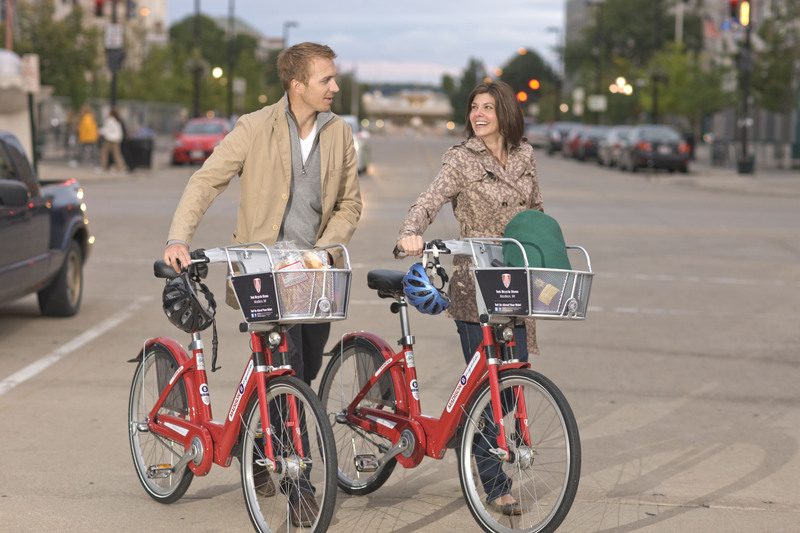 You’ve planned this spectacular date that begins on B-cycles, because by now you’ve figured out that B-cycling is for lovers. You get the chance to show off your physical prowess, as well as your concern for the environment. You get to prove your economical, self-sufficient, and an all-around great, resourceful individual. 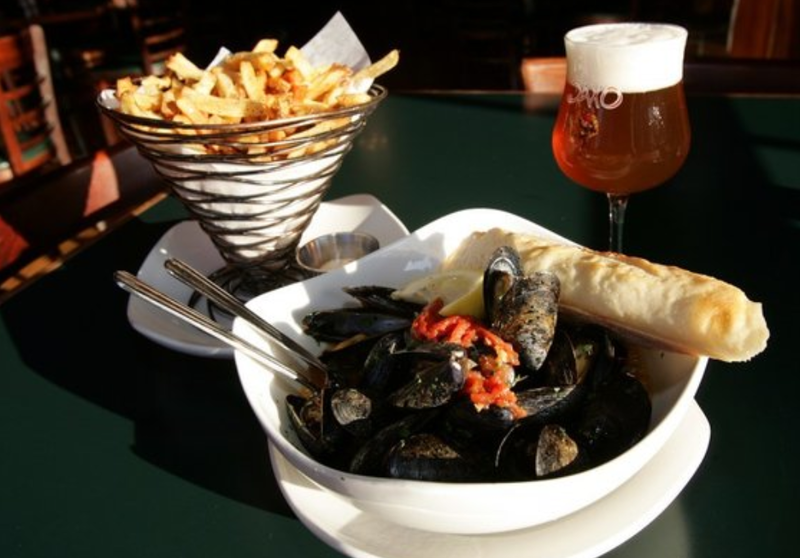 As if you aren’t already impressing your date enough, you will certainly win them over when your serendipitous B-cycle ride leads you to Jacs for famously-fresh Prince Edward Island Mussels and a whole cone of Belgian Frites for $13. Plus 1/2 price bottles of wine! This deal only takes place on Mondays, so you of course planned this date for a Monday. Since everyone needs something to look forward to post-weekend. 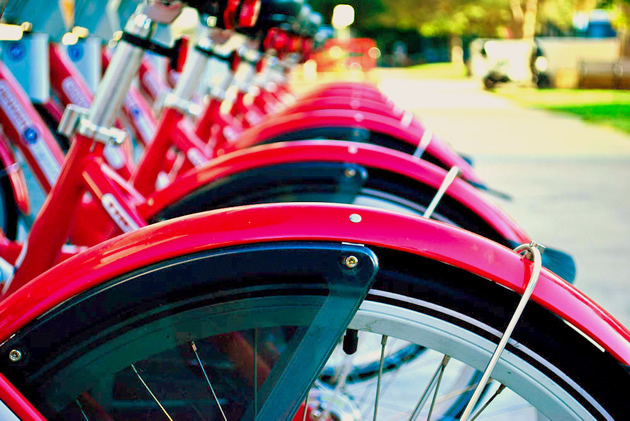 You pedal up to the Monroe and Knickerbocker Station. Your dates’ hair is glistening in the setting, fall sun. There is a cool breeze coming off Lake Wingra and you are both giggling like innocent school children. And then you see it. Your worst nightmare on this perfectly planned date. The station only has one dock available. It never ceases to amaze people when I tell them there is a button on the kiosk just for this purpose. We really have thought of everything. 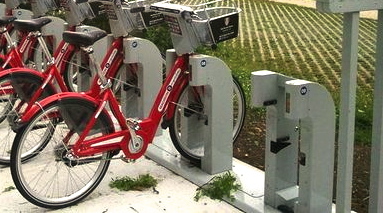 If a station is full, there is button on the touch-screen kiosk that says “Station is full.” Upon clicking that button, you will be given an extra 15 minutes to ride your B-cycle to the nearest open station. 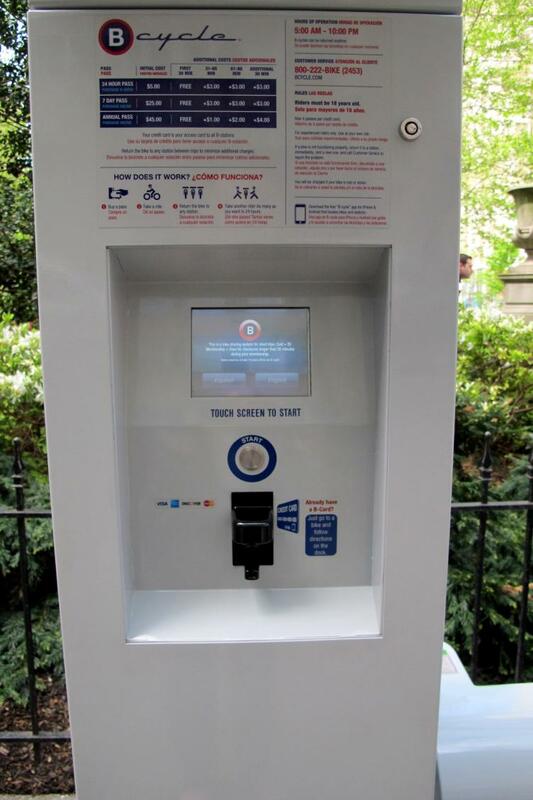 The kiosk can provide real-time info about all the locations, docks, and bikes available in the system. The mobile app does this as well and is a sweet tool when planning your excursions. Of course, after being dock blocked, you now have the chance to show your date what a “roll-with-the-punches” kind of person you are. Keep calm, and pedal on, if you will. 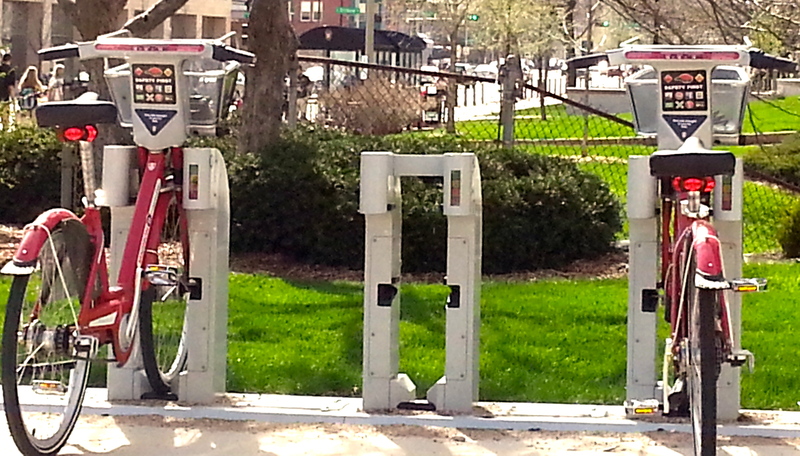 You can bring your bike up to Harrison and Monroe, just outside Trader Joe’s and dock your bike there. Two options now: bring your date inside and buy them a drink at the bar while you return your B-cycle, or invite your date to come along. The incentive to come along? 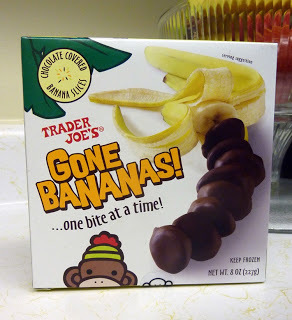 You can buy those amazing chocolate covered banana chips as an appetizer to eat on the walk back to Jacs. Cuz those things are life changing. However, if you’re date chooses to stay behind, this presents you with the perfect opportunity to buy flowers at Trader Joe’s while on your solo bike return. Moral of the story: avoid the dreaded Dock Block and check out the mobile app beforehand. But should the Dock Block arise, we’ve got you covered.